Kilimanjaro (and the rainy season). The flight out of Dar Es salaam was uneventful and short. 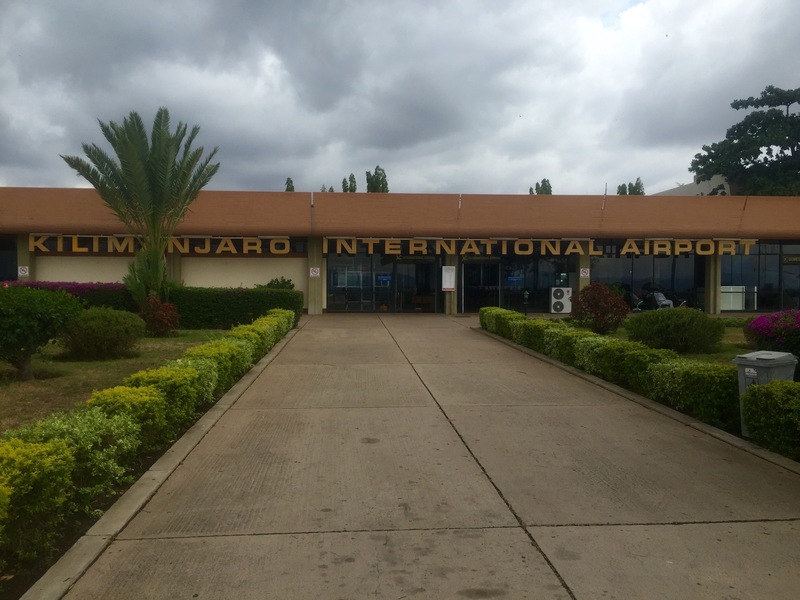 By noon I was walking across the tarmac at Kilimanjaro International Airport– a place that lifted my mood. It is simple, well-maintained, and has a 1950s feel to it, a time before airports became armed camps. Caught a shuttle to downtown Moshi, a place with a much different vibe than Dar. Of course it is much smaller, and safaris seem to be the primary industry but once again, everything was so low-key. The company running my trek booked me into a resort hotel a little way out of town, but I opted to walk and see the town. A bar on a street corner playing great music lured me in for a cold drink on a very hot day, though rainstorms were threatening. I’ve trekked in the rain before, not going to get me down. Walked out to the Sal Saliero Hotel along a road lined with Jacaranda trees. After the Safari Inn, the Sal Saliero is De-Luxe. I guess I should enjoy a last bit of luxury for the week.